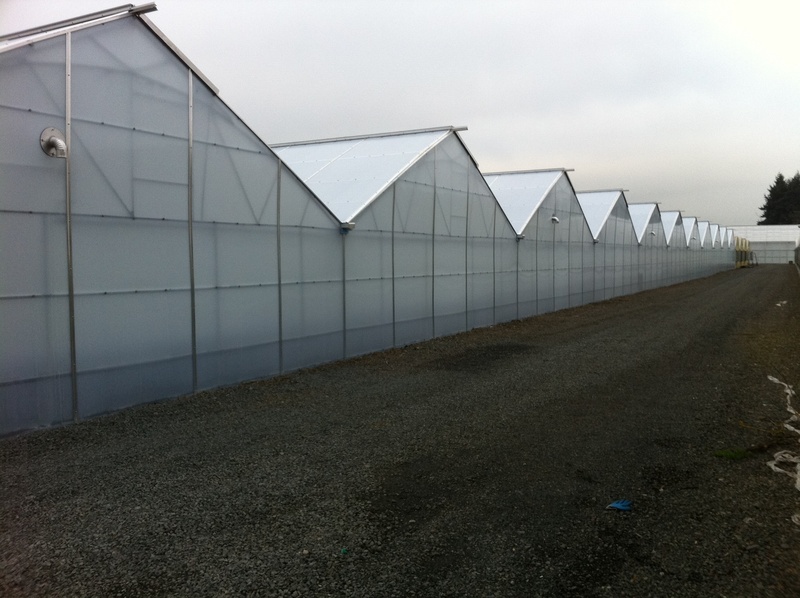 What materials are most commonly used for glazing commercial greenhouses? Type 1: Thin plastic films, generally ranging from 2 to 8 mils (.002”‐.008”), normally installed using two layers with air inflation between the layers to provide added insulation. Specific types of films: ethylene vinyl acetate (EVA), polycarbonate (PC), polyester, polyethylene (PE), polyvinyl chloride (PVC), and polyvinyl fluoride. Type III: Rigid Glass materials including annealed, tempered and laminated.